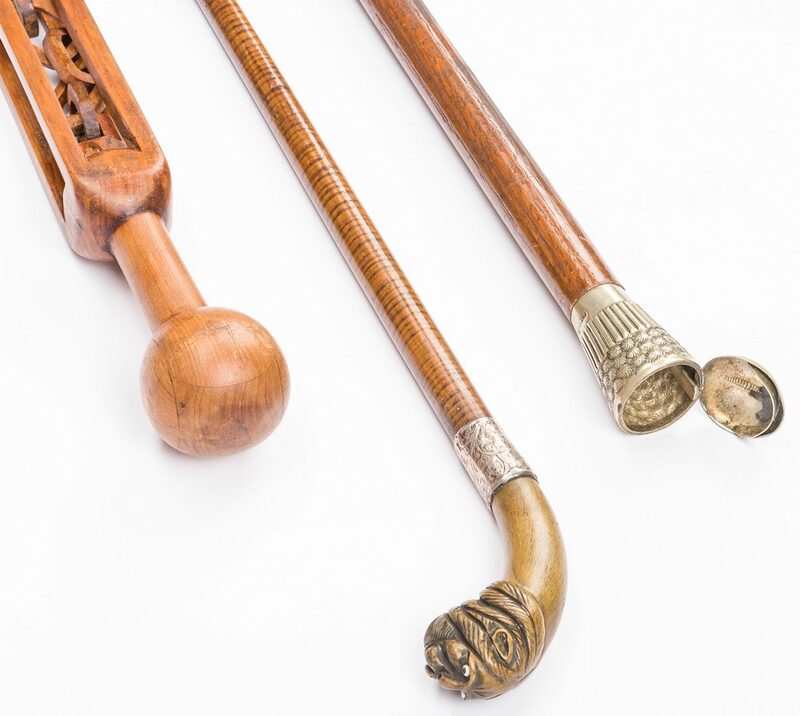 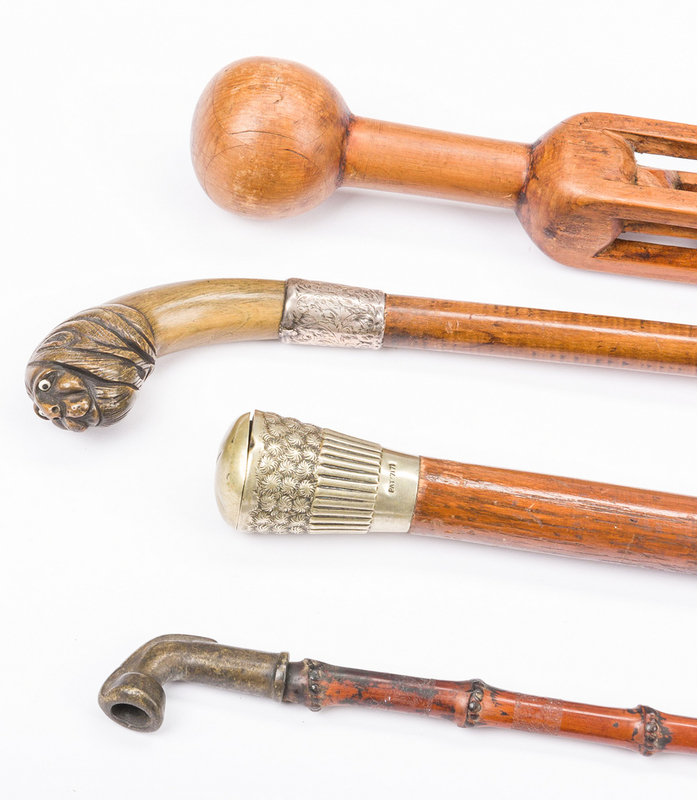 Group of 4 walking sticks or canes, all early 20th century. 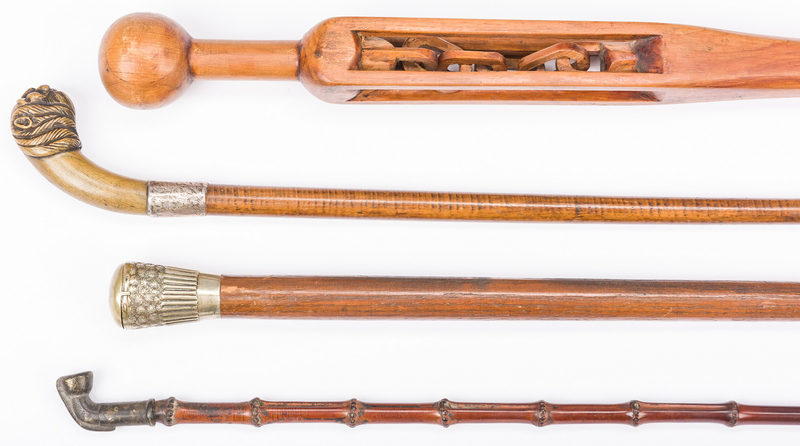 1st item: Folk art carved and stained maple cane with round knob handle and carved puzzle chain section, 36 1/2" L overall, likely American. 2nd item: British walking stick with stained wooden handle carved as a dog-man head with white bead eye; silver collar hallmarked for Henry Griffith and Sons, Birmingham, England; tiger maple shaft with copper end cap, 35" L overall. 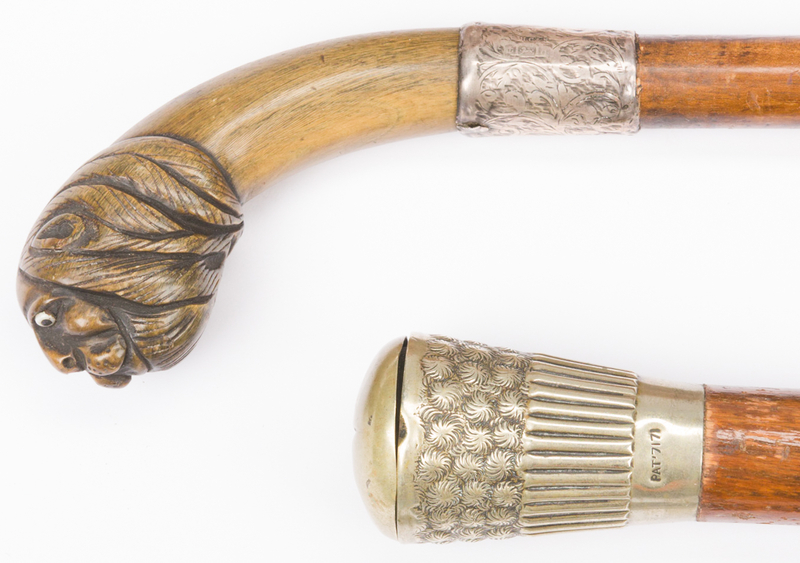 3rd item: Stained oak walking stick with end cap of silverplated brass hinged covered cup holder, embossed floral and gadroon decoration, PAT'7171, metal end cap, 36" L., likely American. 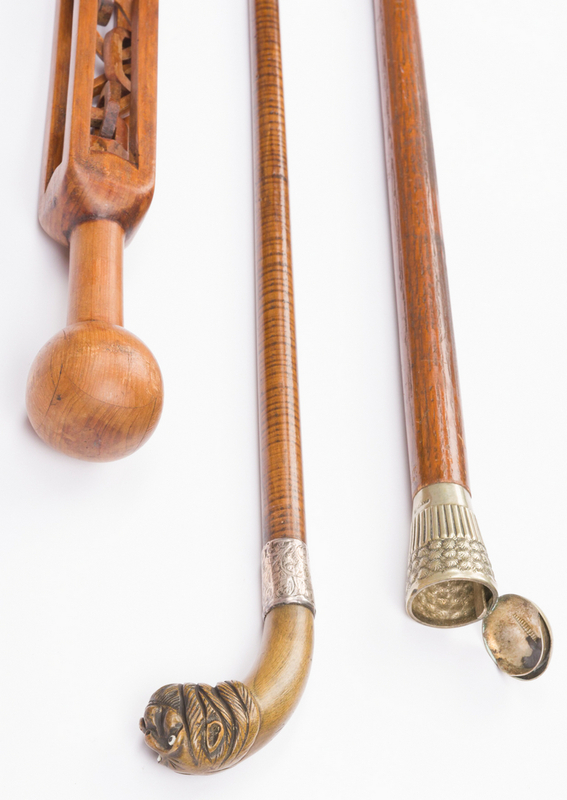 4th item: Wooden bamboo walking stick, tapering form with bronzed metal pipe form handle and tip, 39" L, possibly Asian. 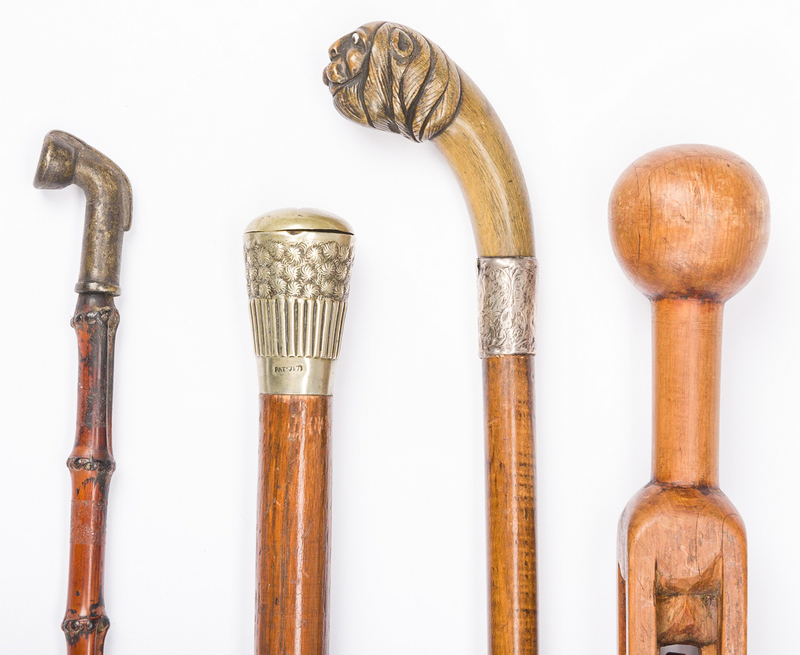 CONDITION: All in overall good condition with acceptable wear due to age. 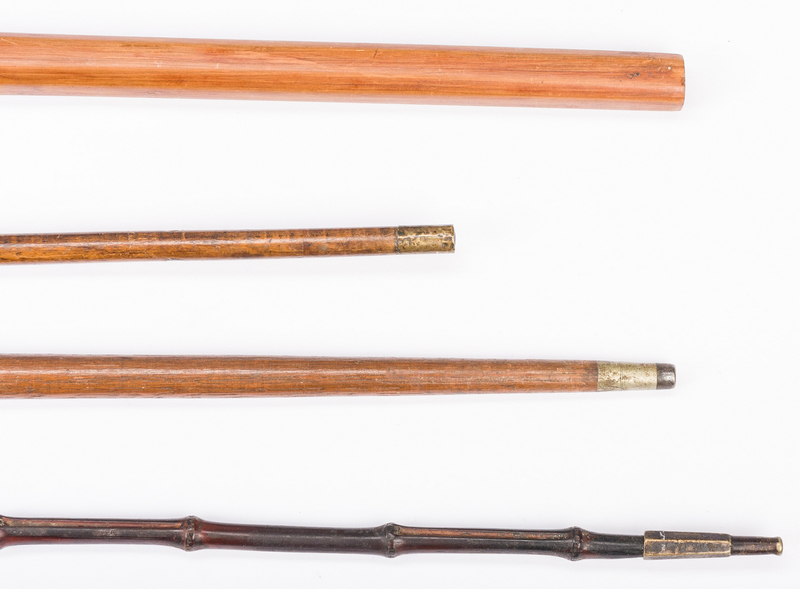 Bamboo stick with old repaired break to lower section.